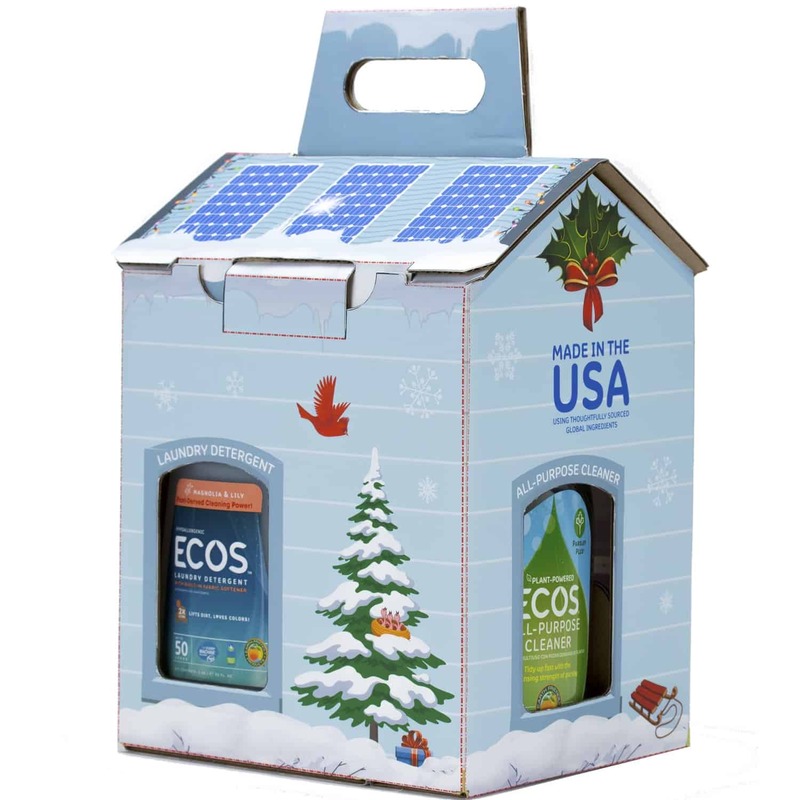 The Ecos Holiday Gift Set is a great holiday gift idea for college students, homeowners, party-throwers, or anyone who's looking to live a healthier, more environmentally-friendly lifestyle! Now you can give the gift that will help your friends and family create a healthier, safer home this season with the ECOS™ Holiday Gift Set. ECOS Laundry Detergent for those colorful holiday sweaters. ECOS Dishmate™ Dish Soap to get cookie-baking sheets sparkling clean again. ECOS Parsley Plus® All-Purpose Cleaner to give every room a little garden-fresh warmth during the winter. ECOS Hand Soap to keep hands clean after all that scrumptious cooking. Shop for the ECOS Holiday Gift Set now!